A recent study by The Economist found that Toronto is the best city to live in and with Valentine's Day fast approaching many are looking for something special to do during the weekend of love. If you're not the romantic type, don't worry! Toronto has a ton of different events going on for all ages and interests. 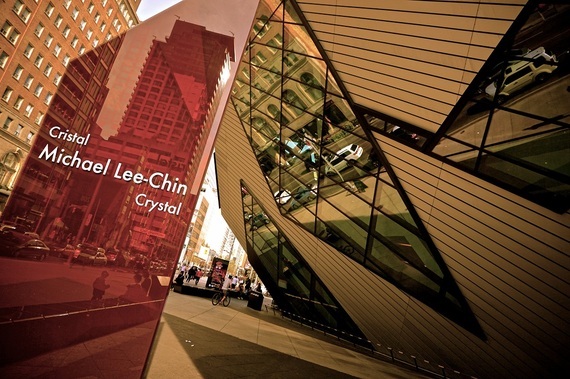 Here's a list of things to do in Toronto on Valentine's Day. Valentine's Day in Toronto gets a little freaky at the Zoo where they'll be hosting So You Think You Can Romance. Enjoy a romantically inspired dinner while learning about how love is found in the animal kingdom. If you think dating can be awkward, wait until you learn about some of the strange encounters animals need to go through to find a mate. The night includes a special animal encounter, interactive presentations and a preview of the future reproductive labs. 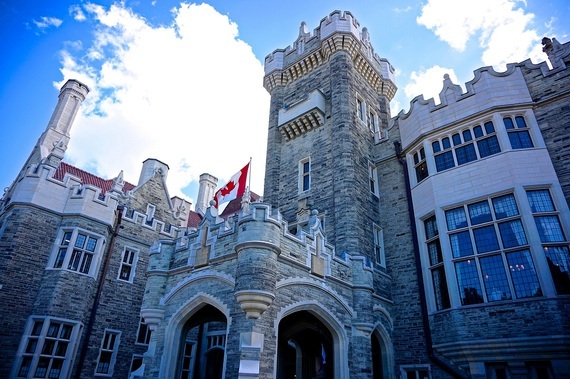 Treat your special someone to dinner in a castle at Toronto's Casa Loma. Built in 1911, Casa Loma was once known as Toronto's own Camelot but is now a museum and a top ranked tourist attraction. Liberty Entertainment, who purchased the site last year has made many upgrades and promises the library and conservatory will be a spectacular setting for your meal. Providing neighborhood and specialty food tours, it should be no surprise that Savour Toronto has a Valentine's Day Food Tour. This special tour takes place in Toronto's famous Kensington Market where you'll be able to sample artisan bread, specialty cheeses, charcuterie, gourmet sandwiches, scrumptious pastries and lots more. A long-stem rose is given to every guest. If romance isn't your thing check out the highly anticipated exhibition Jean-Michel Basquiat: Now's the Time at the Art Gallery of Ontario. Basquiat took New York by storm in the early 1980s with his powerful and expressive style of art which brought racism, identity, and social tension to the forefront. Recognized internationally, Basquiat's drawings and paintings still encourages us to think about the world around us. This is the first major retrospective of Basquiat's work in Canada so be sure not to miss it. Admission: $25 adults, $21.50 seniors, $16.50 students, $62.50 family. Includes general admission. Over at the ROM, Wildlife Photographer of the Year is the current specially priced exhibition. The Canadian premiere is on loan from London's Natural History Museum where it celebrated its 50th anniversary. A stunning collection of nature and wildlife, come see 100 breathtaking photos selected from tens of thousands of submissions from around the globe. Admission: $23 adults, $19.50 seniors/students, $16 children (4-14 years). Includes general admission. Valentine's Day in Toronto happens to fall on the Family Day weekend in Ontario and the Science Centre offers excitement for the whole family. Brain: The Inside Story lets you explore the bundles of neurons that is the human brain. Learn about how our brains processes languages, organizes the visual word, gets stimulated, and how it rewires itself as we age. Are Cheap Flights From Buffalo International Airport For Real?